Do your customers tell you that your eCommerce site is a joy to shop? Probably not! While some people really do love online shopping, few rave about the actual buying experience. We shop for goods and services we need or want. Whether or not we enjoy the shopping experience is partly a personal preference, partly the ability of the merchant to read customers. Unlike brick and mortar store owners, eCommerce businesses don’t have the opportunity to judge body language and see if customers appear satisfied. At best, they can offer real-time or automated chat assistance. When it comes to the ultimate shopping commitment, brick and mortar stores have it pretty easy. They take the payment, swipe (usually), and bag items small enough to be carried. Customers rarely change their minds and literally abandon a shopping cart once they get in line to buy. If only eCommerce business owners had it this easy! Instead, they are presented with depressing website statistics that point out cart abandonment and site bounce rates. They don’t have a chance to turn the charm on customers who are about to make a quick exit. While a creative, thoughtful designer can make an eCommerce site a straightforward and satisfying shopping experience, parting with your money is never fun. But there are ways to make the actual checkout process less of a hassle for customers, and maybe even lower the cart abandonment rate in the process. As the holiday season approaches, how are you ensuring your checkout process is optimized so you’re bringing in the most sales? After all, you can easily lose customers at multiple points even when they’ve added an item to their shopping cart. To best appreciate this, let’s take a look at the stages of a checkout process and where you can lose customers. Building trust in your online business. Removing checkout obstacles to streamline checkout. Expanding your market to include international customers. Giving customers more payment choices. Could a minor adjustment increase your online store’s profits by 10%, 30%, or even 50%? Some of the world’s biggest companies, including Amazon, say yes. A few tiny changes can boost order size and profits, and help build better customer relationships. One way to do this? Cross-selling. If you’re not doing it yet, you should be. Let’s look at how cross-selling works, why you need it, and how to get started. Everything you do on your store leads your shoppers to one final, critical experience: the checkout. And this final experience is so important, yet so sensitive, that one wrong move could send those potential sales down the drain. It’s crucial to get your store’s checkout “flow” — the transition between one field or page to another, from the start to the finish — as smooth as possible to avoid losing sales. The default WooCommerce checkout goes a long way toward making this happen, but depending on your store, industry, or products, there’s still more that could be done to make the process simple and pain-free. Let’s take a look at how you can optimize the checkout experience for your shoppers, from removing excess fields to opening terms & condition links in new tabs. As our online activities increase, so do the number of online accounts in our names. It seems as if nearly every website out there asks you to “sign up” or “sign in” — and the process is hardly ever simple. Nor are these accounts held to the same standards from one site to the next, leading to forgotten or even insecure passwords. No one wants to create yet another account unless there’s a clear benefit to doing so. Shoppers will even go to great lengths to avoid signing in to complete a purchase, up to and including completely abandoning their cart in favor of a different store. In short: customers everywhere are suffering from new account fatigue, and it could be hurting your store. The obvious solution to this issue is the option of a guest checkout option, which doesn’t require shoppers to create an account or save any personal information to complete a purchase. However, adding guest checkout isn’t a smart move for every online store, and it could actually cause more problems than it solves in some cases. Let’s have a look at how you can decide if guest checkout is a good fit for your store, based on a few important criteria like order frequency, the possibility of reorders, and the overall benefit of customer accounts. As manufacturers pack more power into mobile devices — and they become readily available worldwide — our tendency to use them for everything possible has risen dramatically. Why pick up a laptop or sit in front of a desktop computer if you can accomplish the same task on your cell phone? Larger screen sizes and improved hardware mean they’re just as easy to use for games, research, note taking… and shopping online. But a consumer viewing your store from their phone is much different than them buying from it. An iAquire and SurveyMonkey study found that 40% of mobile users will leave a website and go back to their search results if the first site they visit isn’t mobile-friendly. Imagine reducing your bounce rate by 40%. Now imagine what keeping more of those visitors on your store might do for your sales. 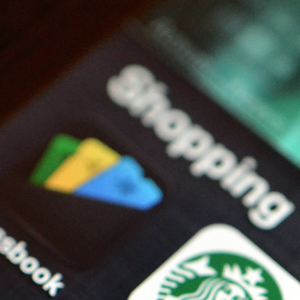 If your WooCommerce-powered store isn’t accommodating to mobile visitors, you’re leaving money on the table. Fortunately, there are a few simple ways to improve your store — without undergoing a costly redesign — that will help you keep more shoppers on your store, plus potentially improve the number of purchases they make. Let’s take a look at how you can unlock WooCommerce’s hidden power for mobile shoppers using built-in design options, ideal payment gateways, and a few amazing extensions. One of the main reasons people shop online in the first place is convenience, so it only makes sense to grease your online store’s wheels as much as possible. Your efforts should be focused on your checkout, because that’s the make-or-break section of the buying process. Once the customer has decided that they want to give you their money, your job is to get them through it as quickly as possible, with a minimum amount of pauses that might give them time to reconsider that decision. The fewer clicks it takes for a visitor to complete a purchase, the better, so here are some ways to start shaving them off. Phablets aside, the average smartphone user will be viewing your site on a screen not much bigger than the standard business card. And when they enter their information, the pop-up keyboard will suddenly eat half of that space. If they turn the phone sideways, that will turn into 7 or 8 tenths. With all the effort you put into bringing new visitors to your online store, it would be a shame for them to click away after putting items in their carts just before making a purchase. Unfortunately, this happens a lot. 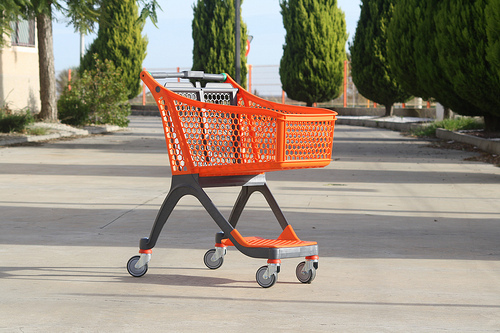 It’s called cart abandonment and it can be a sizable leak in your sales funnel if you’re not careful. Fortunately, there are a few ways to reduce cart abandonment – to keep customers on your site all the way through to a successful purchase. There are also a few tricks for getting people back to your site to complete a purchase they previously started. I’m going to spend some time in this post discussing both scenarios and solutions for each.